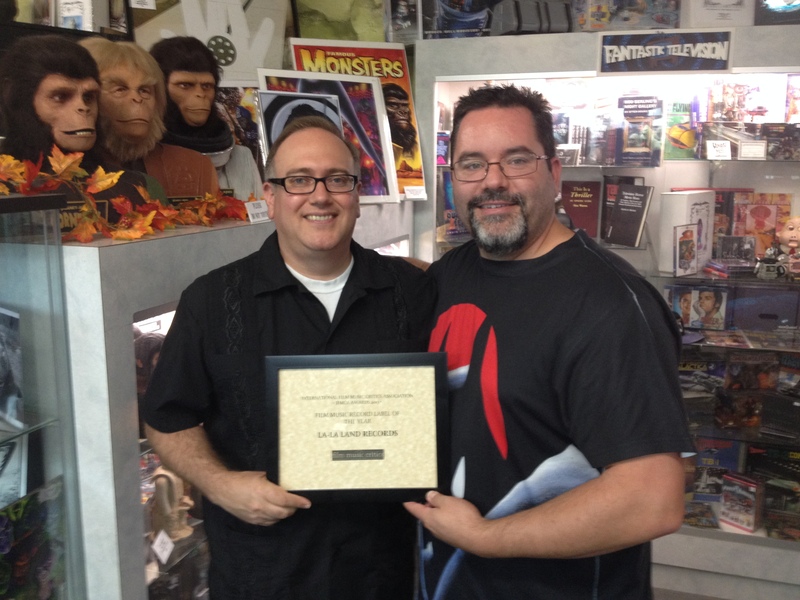 Representatives of the film music record label La-La Land Records have been presented with International Film Music Critics Association Awards for Best Archival Release of an Existing Score (Compilation) and Record Label of the Year by IFMCA member Jon Broxton. 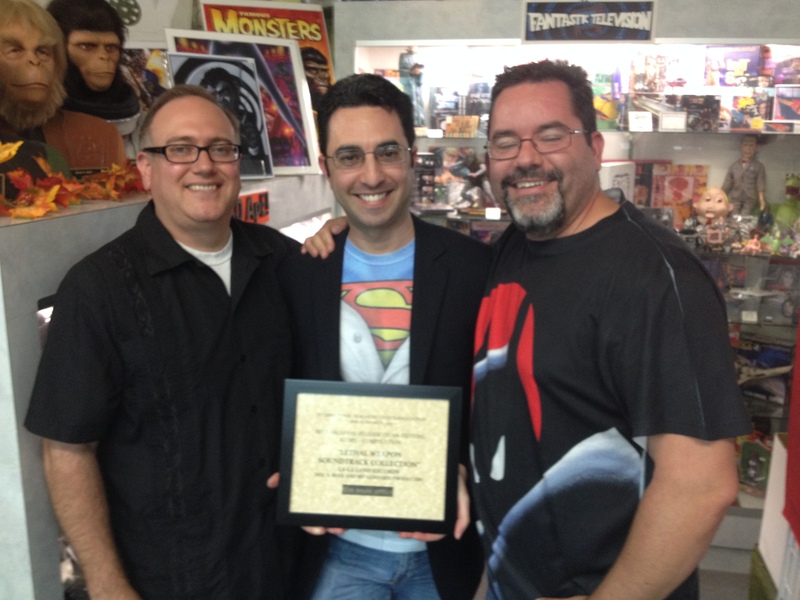 Also in attendance at the presentation was IFMCA member Dan Goldwasser, which took place at a special publicity event for their upcoming release of a third volume of music from Batman: The Animated Series. 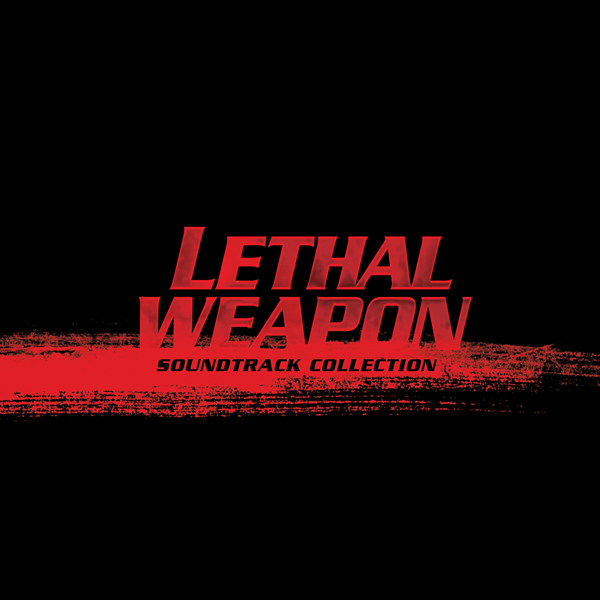 The set features the iconic film scores from all four Lethal Weapon films. Each score is contained in its own 2-CD jewel case, and all four scores, along with a 40-page booklet. The scores to Lethal Weapon 1-3 have been greatly expanded beyond their original soundtrack album presentations, while the score from Lethal Weapon 4 makes its world premiere with this set. A bounty of previously unreleased score music is featured here, along with bonus score tracks and songs from the likes of Sting, Elton John, George Harrison, The Beach Boys and more. 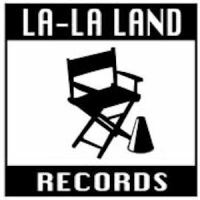 Since releasing their first albums in 2002, Burbank, California-based La-La Land Records has become one of the most respected and acclaimed film music record labels in the world. Having already released over 300 titles over the last decade, 2013 continued their astonishingly high quality series of releases, in which they released expanded and re-mastered versions of acclaimed scores such as James Newton Howard’s Wyatt Earp, James Horner’s Patriot Games, Robert Folk’s Police Academy, Danny Elfman’s Black Beauty, a 4-CD set of music from Star Trek: Deep Space Nine, John Williams’s The Fury, Hans Zimmer’s Days of Thunder, and a 4-CD set of music from Superman: The Animated Series. Click here to see Gerhard, Verboys and Bulk’s acceptance speeches, and hear some music from Lethal Weapon.